Uluru to Brisbane - quickest way home? Hi Rita, love this website! 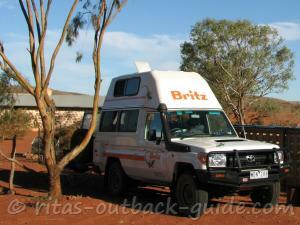 We are doing a big trip from Brisbane to the Top End, the Kimberleys, Red Centre and back home to Brisbane. 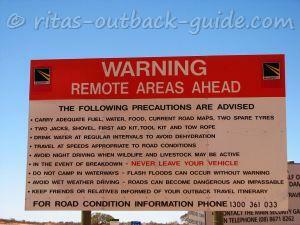 By the time we get to Uluru we will be pretty buggered I reckon, and just want to get home. 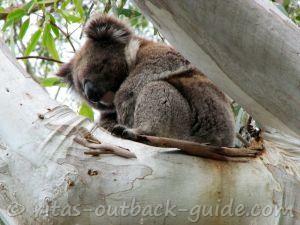 Do you or your readers have any advice on the fastest way from Uluru to Brisbane? 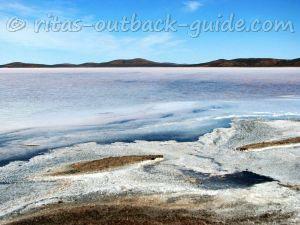 We could travel the highways either south through SA, or north and through Mt Isa which will take a number of days. We're wondering if anyone has cut straight through the desert and if so, how long did it take and what are the roads like. There are so many tracks I'm not sure which ones are rough and which ones are relatively easy! Rita's Reply - When do you go? 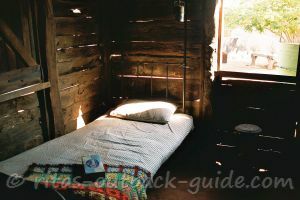 I am glad you like the Outback Guide :). It's not easy to answer your question. When you want to go straight through from Uluru to Brisbane using one of the tracks you are depending on the weather. Unsealed roads and tracks are closed when they are wet, even some sealed highways have been partially closed recently. I guess you know that. 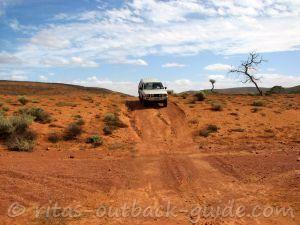 Do you have a 4WD? 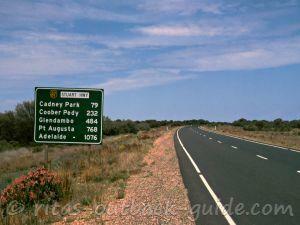 Take the Plenty Hwy north of Alice Springs which turns into the Donohue Hwy in Queensland and leads you to Boulia. 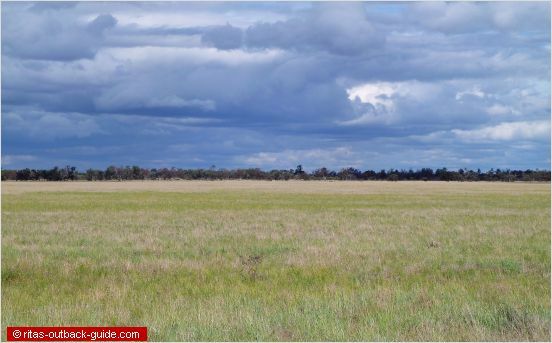 Go south to Bedourie, Windorah and Charleville and then back to Brisbane. This is a quick connection in dry weather. A 4WD would be good as the Donohue can be rather rough. I've heard that the Qld section (Donohue Hwy) was in better condition than the Plenty on the Northern Territory site throughout 2013. There is also the joke going around that the highway got its name because it has "plenty" corrugations, bulldust, potholes, you name it and it will be there. Don't forget, track conditions always change depending on the weather and maintenance of the road. 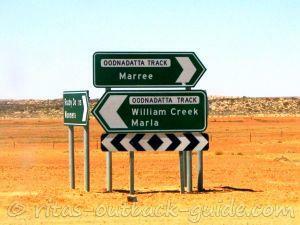 Drive south from Alice along the Stuart Highway to Coober Pedy, take the unsealed William Creek Road to the Oodnadatta Track and Marree. 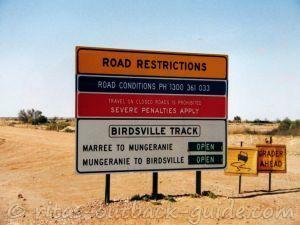 From here you either drive along the Birdville Track to Birdsville & Windorah, or along the Strzelecki Track to Innamincka. 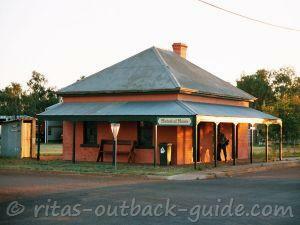 Then take the Adventure Way to Thargomindah and Cunnamulla to Brisbane. These are great routes in dry weather, and doable with a normal car (but not with a hired car) when road conditions are good. So the most important advice, whichever route on the tracks you choose, check the weather reports for the next couple of days before you go. 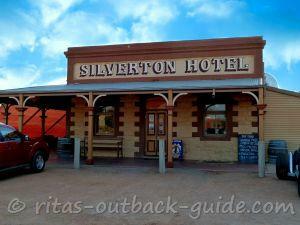 Otherwise the quickest way could turn out very long if you get stuck in one of these great Outback towns when it rains. 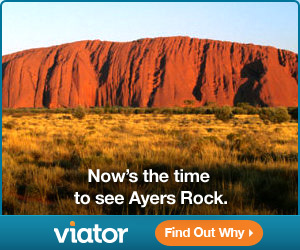 Comments for Uluru to Brisbane - quickest way home?